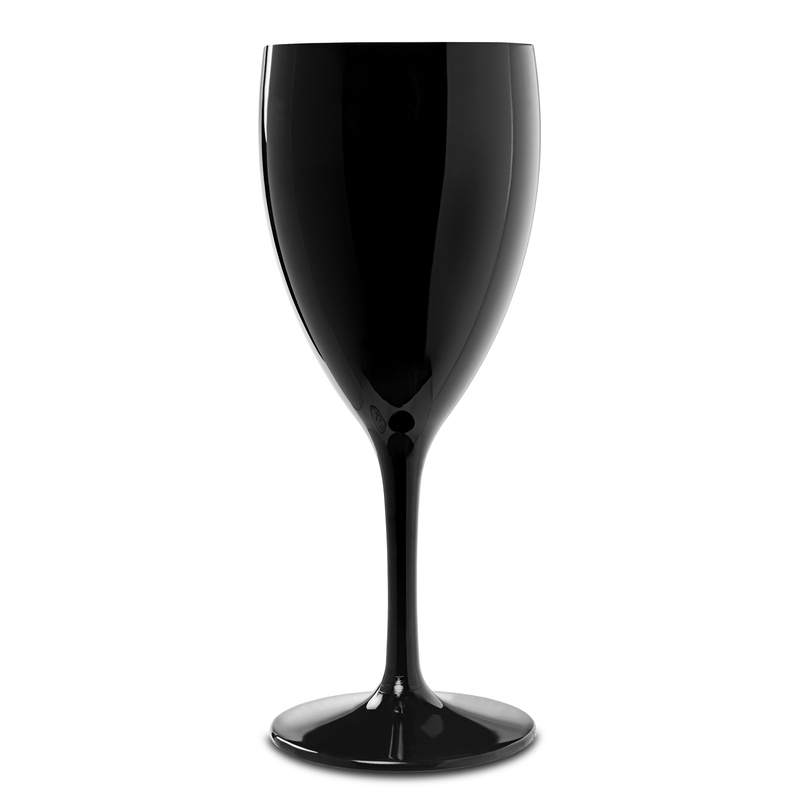 With an impressive polycarbonate design, these Premium Unbreakable Black Wine Glasses aim to be long-lasting and practical. The reusable dishwasher safe construction makes life easier and more care free when serving drinks. Perfect or busy venues, events or parties, these polycarbonate wine glasses bring a touch of class to reusable plastic glassware. Eliminating the risks of broken glass, the virtually unbreakable design will stand the test of time during busy usage.